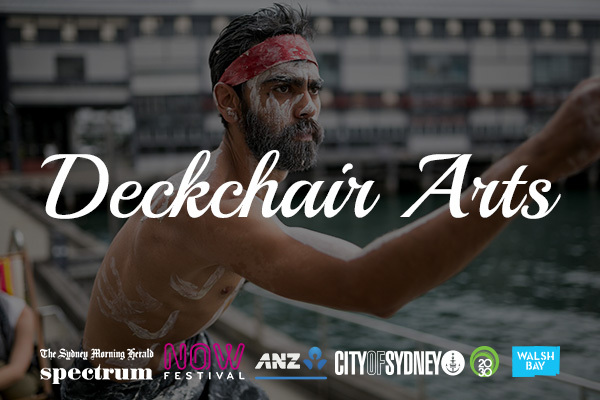 Back by popular demand, the second annual Deckchair Arts event hosted by Walsh Bay Arts and Commerce will take place on Sunday 13th March. Featuring live music, performances and a paddock-to-plate menu, guests can pull up a deckchair outside the renowned Simmer on the Bay and take in the spectacular backdrop of Sydney Harbour. Performances on the day will be provided by the 11-piece horn and drum street band, Hot Potato, Indigenous dancer Kaleb Taylor, one of Australia’s best jugglers and physical comedians Benny B, as well as Sarah Louis-Jean who will astound with boleadoras and drums. A highlight of the event will be a scrumptious paddock-to-plate grazing menu provided by southern highlands farm, The Loch, owned by Simmer on the Bay Group. Utilising the finest produce from the local area, the menu will include dumplings, fresh seafood, a gelato cart and more. Making a special guest appearance at Deckchair Arts will be the talented winner of the Moss Vale Buskers Battle, an annual competition that showcases the best-of-the-best in the busking scene. Deckchair Arts is proudly part of The Sydney Morning Herald Spectrum Now Festival presented by ANZ. The festival takes over Sydney with art, music, stage and talks with a vibrant program of exhibitions, gigs and events. Tickets $75 (includes performances and significant canapés) available from www.walshbaysydney.com and www.spectrumnow.com.au. 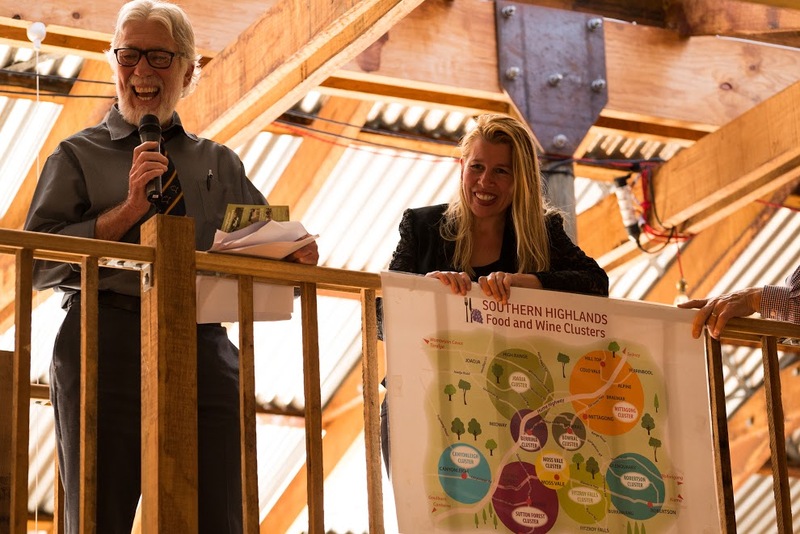 Last month the first of nine Southern Highlands Food and Wine Clusters was launched in Joadja. 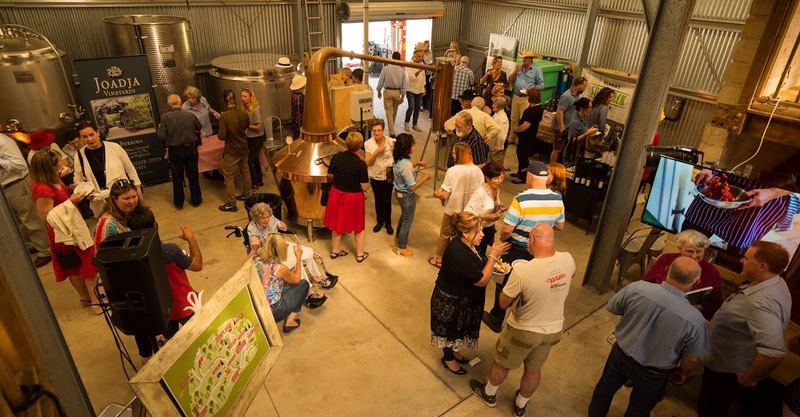 Held at the Joadja Distillery, the 11 producers that form the cluster came together to celebrate the opening and to showcase their amazing produce. 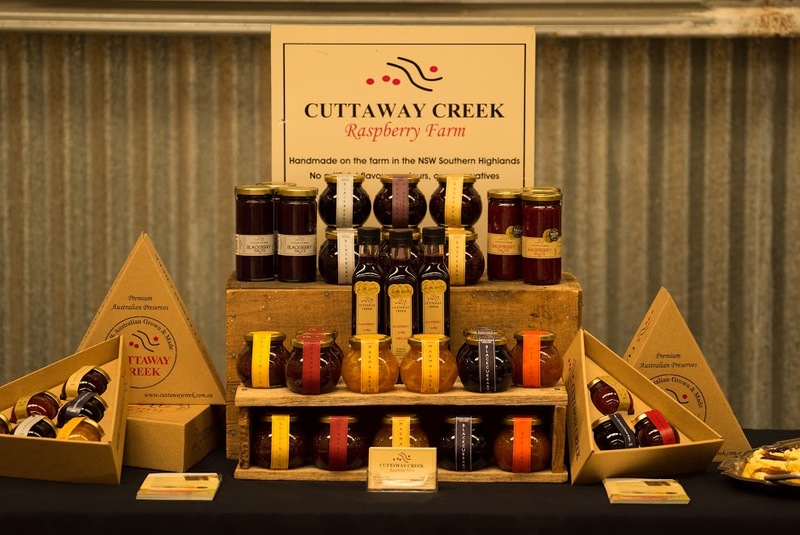 Starting with fresh scones topped with Cuttaway Creek jam, highlights included alpaca meatballs, Bee Mead, barbecued Hairy Hereford and a wide range of stunning wines and fresh produce. 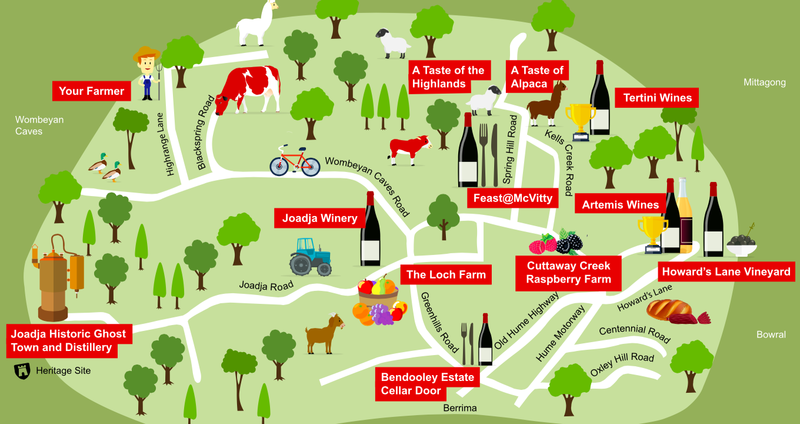 Our director Brigid, teamed up with Food Path pioneer Jill Dyson, to identify nine different Southern Highlands Food and Wine Clusters to explore. Areas covered are Joadja, Moss Vale, Fitzroy Falls, Canyonleigh, Berrima, Mittagong, Bowral, Robertson and Sutton Forest and include over 100 regional growers and producers. In true ‘paddock to plate’ style Brigid is working to create links between city visitors and Southern Highlands producers. Each cluster contains enough to keep you busy and well fed for a weekend visit – you can of course do more than one if you’re staying for longer. The project also serves to remind locals about the great produce that is available on their doorstep. 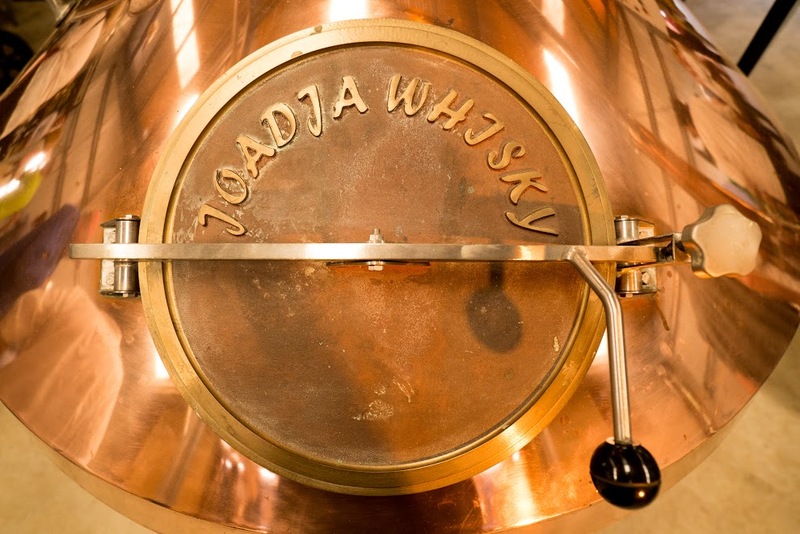 The Joadja cluster has been very well received with well over 100 people going off the beaten track to the hidden jem of the highands, Joadja Distillery to see Mayor Larry Whipper officiate the launch. 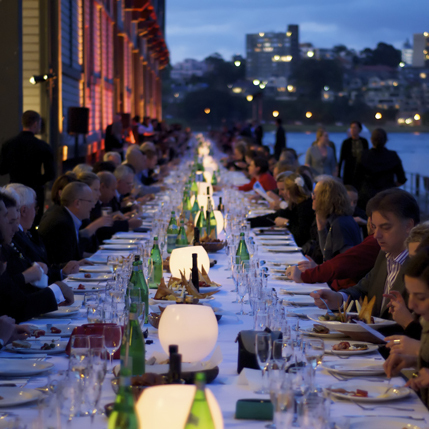 On November 10th this year, Simmer on the Bay will once again be sponsoring the Walsh Bay Arts Table, an alfresco, five course degustation dinner with matching wines, donated by Walsh Bay restaurants, and held on harbourside Pier 2. Created by Walsh Bay Arts and Commerce, The Arts Table raises funds for resident arts companies. Each year a different arts company is the host and recipient of funds raised. This year Gondwana Choirs will use the proceeds towards arts and cultural developments within their company and more specifically towards further development of their Indigenous Choir. If a five course degustation dinner with premium matching wines, alfresco on the harbour isn’t enough for you then Gondwana Choirs will amaze you with an array of performances by their choirs, including the Sydney Children’s Choir who will be performing on a tall ship that will pull up alongside the pier. This will be the sixth highly successful year that the dinner has taken place and we have been there from the beginning as we appreciate that the resident arts companies are such an important part of Walsh Bays identity. We’d love you to join us so book your tickets ASAP! This week at Simmer on the Bay, we have been working on a Peruvian menu for a South American client, who wanted some of his traditional dishes served up at his special event. We often work with South East Asian menus and there are definite similarities in style, amongst other things both use coriander and sweet potato and love to mix lots of spices in their dishes. The Peruvian menu also includes an abundance of corn and for the uninitiated it’s hard to imagine how many types of corn are available here – there are a range of colours from blue to black to red and sizes, some so large you couldn’t eat an entire cob alone! 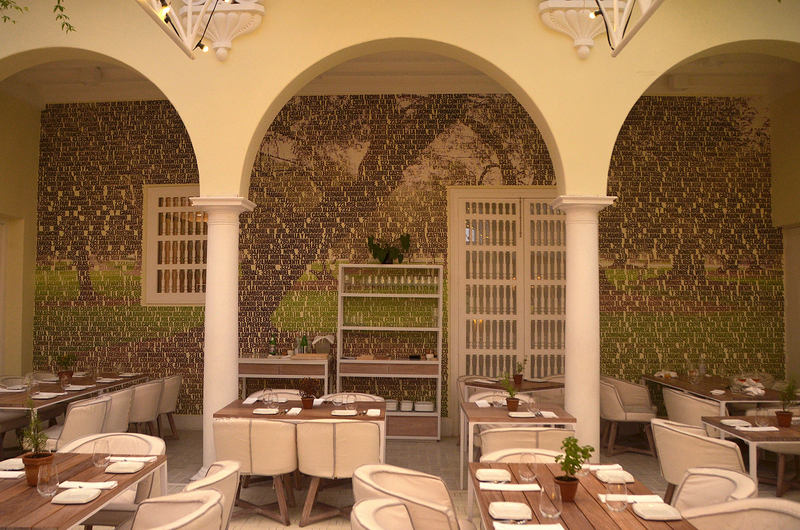 Brigid has just returned rested and inspired from a few weeks in Lima where three out of the world’s top restaurants reside and not wanting to miss a single culinary opportunity, dined at Astrid and Gaston while there. In Lima and on the coast, seafood is abundant and celebrated. It’s no accident that the national dish is ceviche (raw fish, lime juice, chilli, onion, and coriander) showcases fish at its freshest. ‘The South Americans are extremely passionate about their food and very seafood oriented.’ Brigid says. Astrid and Gaston serve exceptional food inspired by traditional dishes, even the design of the restaurant reflects this. Surrounded by a courtyard with walls covered in traditional small tile mosaic, it’s a beautiful experience simply sitting and soaking up the atmosphere. Pollada La Barra – chicken marinated in panca, native potatoes with rocoto cream and huacatay, corn, carrot salad, radishes and parsley. Pesca Del Dia – Whole fish, garlic beurre blanc, sautéed green beans with chestnuts. And of course a few more exotic items such as Confit of Guinea Pig – fried cassava, rocot hoy sin, tomatoes radish, criolia sauce, avocado and coriander. Avocado and roast corn salsa in the husk, pork belly sweet potato with criolla salsa and barramundi fillet with a macadamia and mustard crust and a carrot tarragon jus. 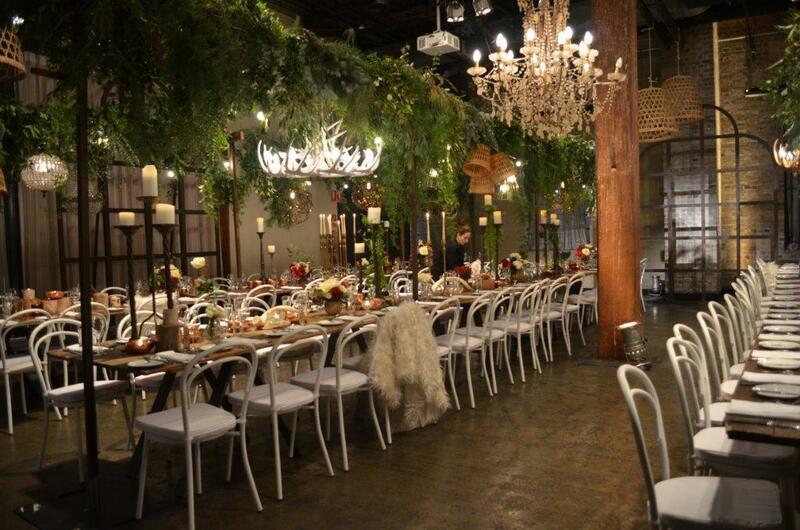 At Simmer we are always happy to create a menu that works in with your event theme, culture or preference. There’s nothing we can’t do and it’s all about exactly what you want! Introducing the new Business Leader of the Year! 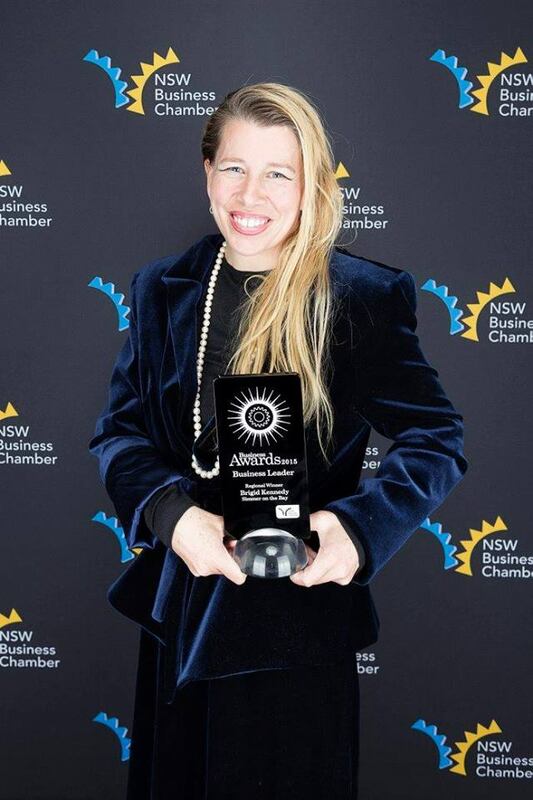 Our very own Brigid Kennedy, Director of Simmer on the Bay was recently awarded Business Leader of the Year at the Sydney City Business Awards. A well deserved win, Brigid is not only the Director of Simmer on the Bay, and Simmer Catering but also The Loch in the Southern Highlands, an expert chef, and successful author. The competition was fierce as Brigid was up against five other finalists for this hotly contested category. Not only do you have to be successful in business to win, you need to display the ability to lead in your own business, industry and the wider business community. Luckily Brigid ticked all the boxes with ease! For those who may not know Brigid trained at the well-known Cordon Bleu Institute in London, and La Varenne, Paris. She owned and ran a catering business in London, then became a personal chef to the rich and famous as they cruised the Caribbean and Mediterranean. 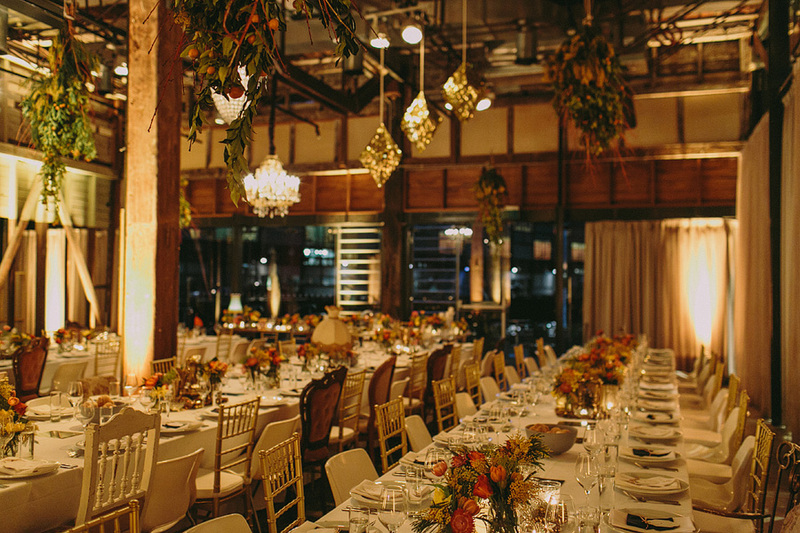 Simmer on the Bay was created by Brigid in 2005 and ten years later Simmer works with over 60 couples per year for weddings and over 120 corporate events per year. Brigid is currently working with NSW inland tourism to create nine food and wine clusters in the Southern Highlands, showcasing over 100 producers and the best agritourism has to offer Sydney siders. 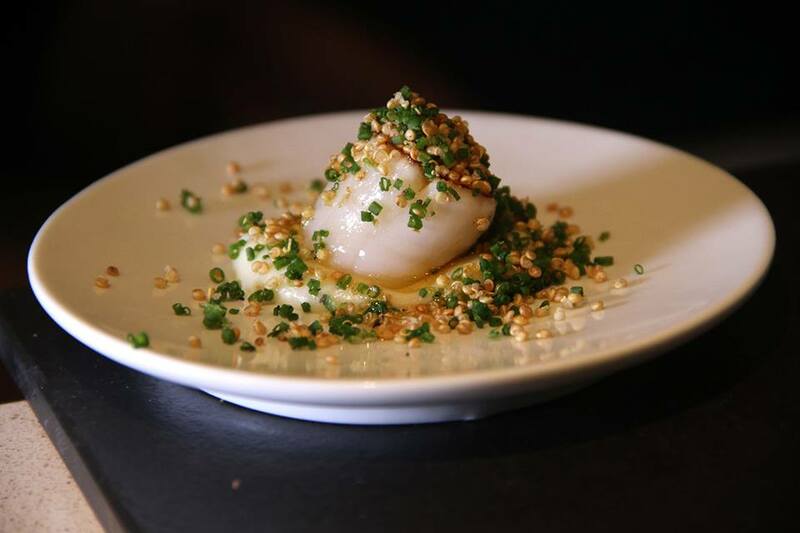 Highlighting sustainable food links to Sydney within the 100 km radius. She has also written two books, Small Food and All Fired Up, and is working on a third. Slave to Flavour. Internationally she has taught regularly at a number of cooking schools, and is widely respected as an inspired creator of memorable events. With an amazing array of achievements to her name it’s not difficult to see why Brigid took out the title for 2015. She is now up for ‘Business Leader of the Year’ at the state awards held in November this year. Director of Simmer on the Bay, Brigid Kennedy, has always followed the ‘Paddock to Plate’ philosophy and is constantly working to further educate people about food. Therefore it’s not surprising that quality produce is top priority at Simmer on the Bay and if you want the best it is essential to know where your food is sourced. Not only does this mean you form a connection with the land and farmers but it allows you to make informed decisions about what you’re putting in your body. As a farmer, Brigid is well aware of the importance of sustainability and the important job that local food producers do. Simmer produce is sourced from a number of different growers including from her own Southern Highlands property The Loch – www.theloch.net.au. Most significantly it is all grown within a 200 km radius, minimising the environmental impact that importing food has and supporting small boutique businesses that often specialise in one specific item such as mushrooms. Sourcing locally means you can closely control produce – if you visit the producer and visit their farm then it becomes obvious if they are sustainable, organic etc. Bringing the farm to the city is what paddock to plate is all about. It’s been a Jolly July at Simmer! This month clients have been jumping on the Christmas in July bandwagon. At Simmer on the Bay we have noticed the growing trend for corporates to host an event around this time of year – perhaps combining a launch, training or end of financial year celebration with Christmas in July. Often the unofficial holiday is celebrated ironically with bad Christmas sweaters, Christmas ballads from the eighties and eggnog, however some truly embrace the beauty of Christmas and use decorative antlers, branches and fairy lights to create an elegant yet cosy Christmas. Whichever approach is taken at Simmer on the Bay the menu is always sophisticated. Or cherry tomato & bocconcini tartlets. Roast beef fillet with pumpkin and pinenut crust, horseradish sage Yorkshire puddings and pumpkin gratin. Christmas wouldn’t be Christmas (even in July) if there wasn’t an impressive desert to finish things off and we don’t disappoint with our sophisticated interpretation of traditional Christmas treats. Apple fritters with baked sauterne custard and Calvados syrup. Although the setting may be somewhat unorthodox for a traditional ‘white Christmas’ the view of Sydney harbor from Simmer on the Bay, is nothing short of impressive, especially when framed with shimmering fairy lights that reflect off the water. Why not embrace the celebration next year – just remember to do it in style!